Nowadays having a a touch screen mobile phone has become like a standard. I'm not such a big fan of Touch screen technology, thus I've been fighting with the idea to own a touch screen phone for a year or so. 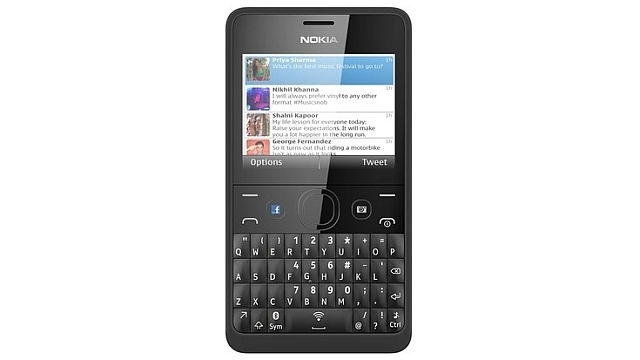 Just till recently I happily lived with my old Nokia 9300i with a physical QWERTY keyboard for already 4 years. Unfortunately lately while talking with my Nokia I started getting frequent voice interruptions missing words in my phone call conversations and need to ask person I'm talking to, to repeat his words / sentence in order to understand what is communicated .. I'm economic person and therefore don't like bying anything new if it is not absolutely necessary so I opened the phone and clean it hoping that this will solve the conversation issues but with no luck. With this half-usable mobile my only option left was to buy a new mobile phone. I'm not very rigorious on what a mobile phone should be and I'm very much minimalist by heart so I was thinking of bying new cheapest available Nokia phone on the market and solve my "issue" quick and efficient, only problem was I'm quite used already of using my handy QWERTY phone as a note taking device thus I preferred to not buy a keypad mobile phone but get again a smartphone with physical QWERTY. I appreaciated my friends help but I didn't like the idea to buy a Smartphone with a touchscreen display – virtual keyboard is not so confortable as having a physical one and besides this is a very slow interface compared to physical keys. Thus initially strongly rejected the idea of bying a phone without a physical keyboard. After some weeks of pondering and checking in the market – in 3 Major mobile operators shops in Bulgaria MTel, Globul and VIVACOM and HANDY store. I've find out currently on the market there is no good price / quality and functionality ratio (qwerty keyboard mobile) available. 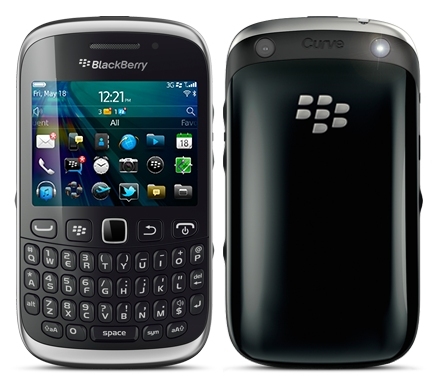 My options were limited to either by a Nokia Asha 210 or some variance or a Blackberry mobile. In first glimpse I liked the Nokia ASHA 210 – QWERTY powered mobile but after noticing the blue Facebook "F" button got quickly jolted. The sales lady offered me a couple of other Nokias with Qwerty keyboard as well as a Blackberry 9320 Curve. After a quick test of all QWERTY mobiles, found the intertface on both is so inferior to IPhone's IOS and Android based phones. 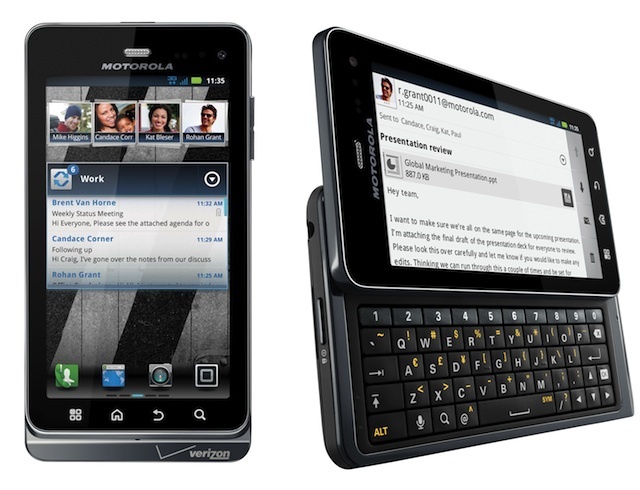 I asked my HP workmates for advice of a good QWERTY bundled mobile phone with Android and was referred to Motorolla Droid 3 – which seems to among the only options on the market for mobile Phone which have both Android Operating System and a Physical QWERTY keyboard. Motorolla Droid 3 seemed to be exactly the mobile I was looking for but unfortunately it is not available in Mobile phones stores in Bulgaria and only in bulgaria is only offered for sale as a second hand and I had to buy it over the Internet (I prefer not to buy on the Internet). Even if I bought it as second hand DROID 3's price is too high for my budget – 250 EUR! I wanted to buy economic phone and same time to have a good balance between price and phone modernity, same time don't tie myself with mobile operator yearly tax plan thus decided to pay my whole mobile price in cache (no credits, no binding 2 / 3 year conversation plans). 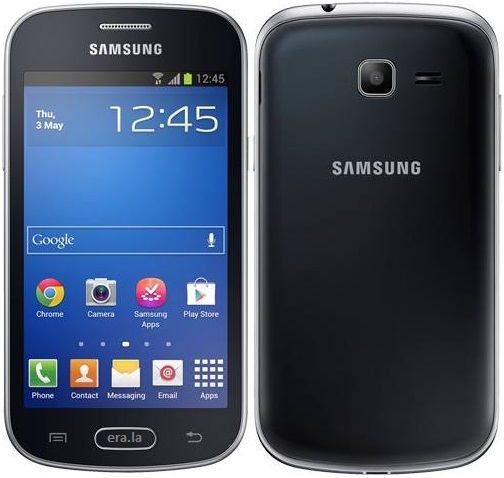 After evaluating the options on Market I stopped on two mobiles identical by price 150 EUR I could choose between Samsung Galaxy Trend Lite or ZTE Blade 3. 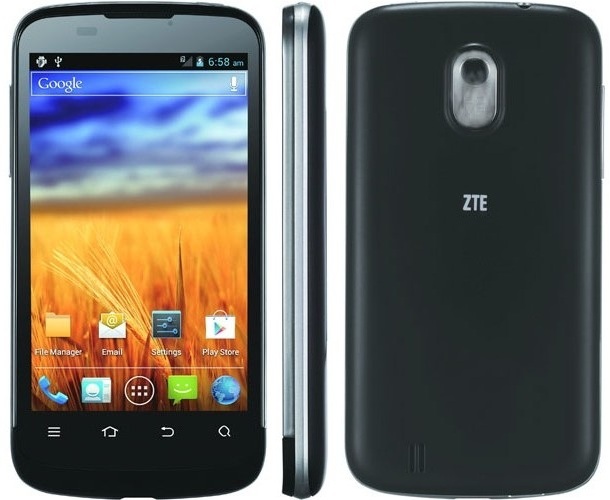 The sales lady adviced me its better to get the ZTE Blade 3 than Samsung Galaxy Trend Lite (S7350) because ZTE has better Camera (5 Mpixels), a better Display and has much less hardware issues than Samsung Galaxy Lite. The person who had to have the Jabber protocol working on IPad program was not a proficient user and therefore I had the task to find a program to be able to talk to the Jabber protocol for him. Jabba was looking quite, nice but unfortunately costs $1.99 and should be purchased in Apple's App Store and it was preferrable not to spend money on a trivial thing as a Jabber client. I gave BeejiveIM a try but it required some very complex registration, as well as again required to be purchased (if I remember correctly), so it wasn't an option either. Talkonaut is a program also supporting both Jabber (XMPP) and GTalk2VoIP, hence supporting Google Talk and MSN/Live Messanger. 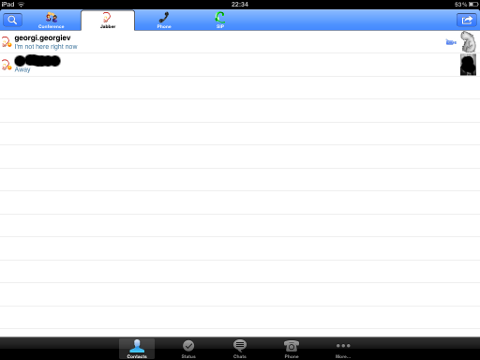 Installing TalkonAut is a piece of cake from Ipod's Safari you click on the Install link and it gets installed. I will not get into details on how it is configured as this also is pretty easy. Talkonaut should also support VoIP (voice conversations), between mobile users, I'm curious if somebody used the program for VoIP and can share feedback? The game is really entertaining, the graphics looks approximately nice, the music is awesome, the gamelplay is good even though after some point in the game the moment with “where should I go now, I can’t find exit” comes through and it gets boring. 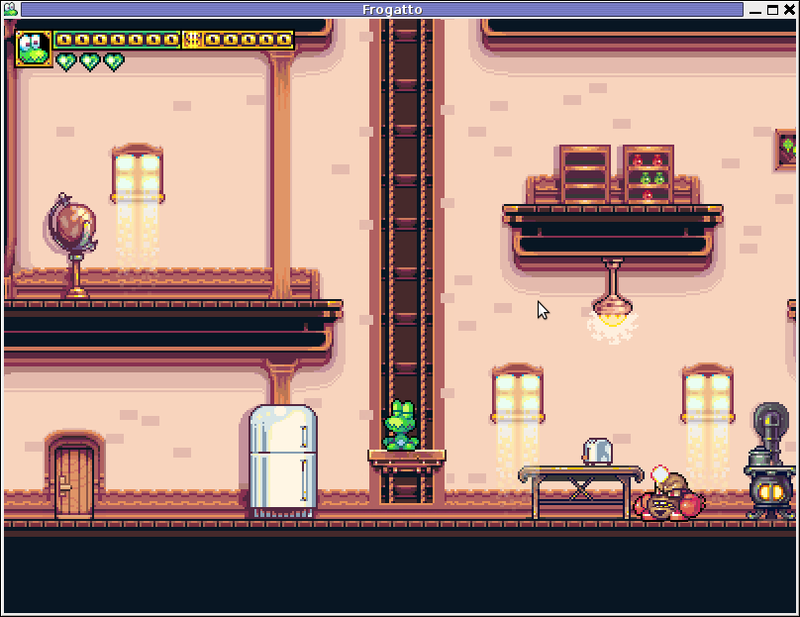 and therefore its my own believe that Frogatto is a game that every GNU / Linux and FreeBSD desktop should have in Application -> Games GNOME menu. 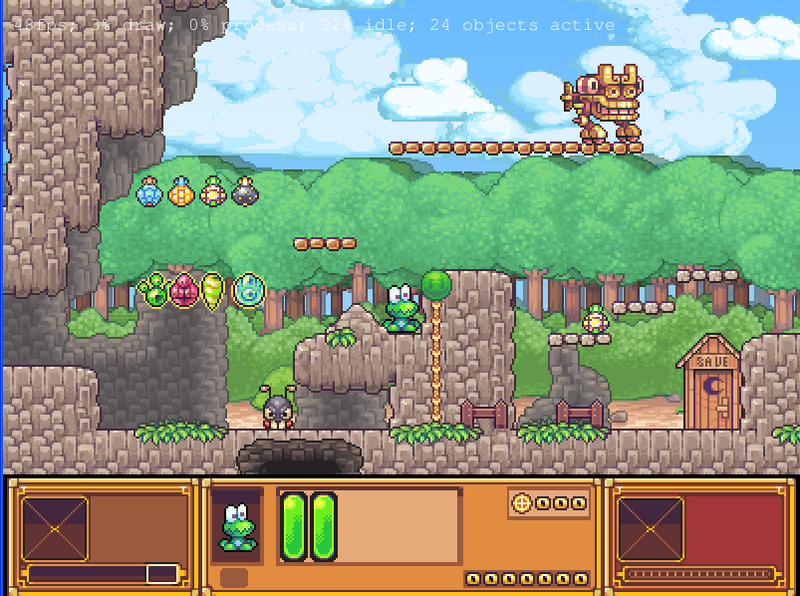 Frogatto is rich of levels, enemies obstacles objects, places to visit (which puts it ahead of many of the linux arcade games which often miss enough game levels, has a too short game plots, or simply miss overall game diversity). The game’s general look & feel is like a professional game and not just some tiny free software arcade, made by its authors for the sake to learn some programming, graphics or music creation. Besides that Frogatto & Friends is multi-platform supporting all the major operating systems. 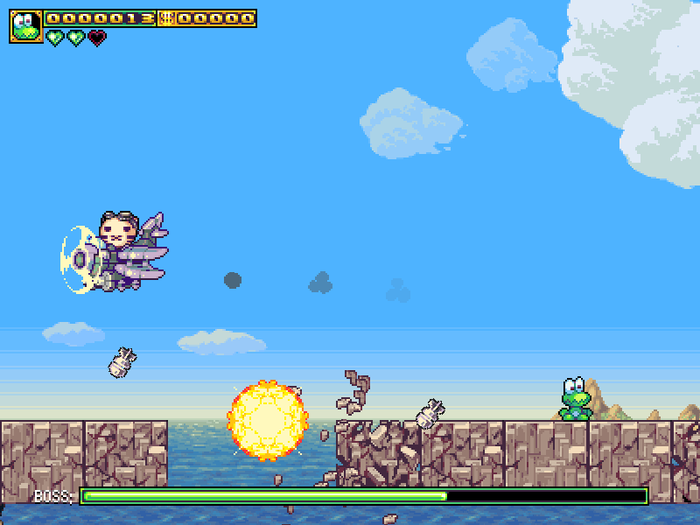 The above command will install two packages frogatto (containing the game’s main executable binary) and frogatto-data containinng all the game textures, levels, graphics, music etc. BTW the package saparation on a gamename and gamename-data in Debian (for all those who have not still noticed), can be seen on most of the games with a game data that takes more disk space. 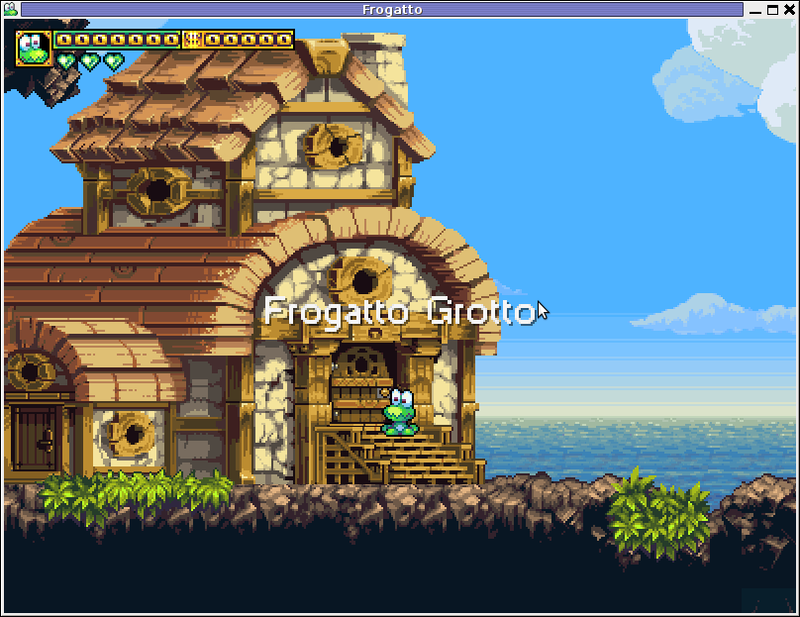 I’ve noticed Frogatto is also available as an RPM package for Fedora Linux, as well as has a FreeBSD port in the /usr/ports/games/frogatto and this makes it easy to install on most free software OSes in the wild. OpenGameArt.org looks like a great initiative and will definitely be highly beneficial to the development of more and better FSOS Games so I wish them God speed with this noble initiative. 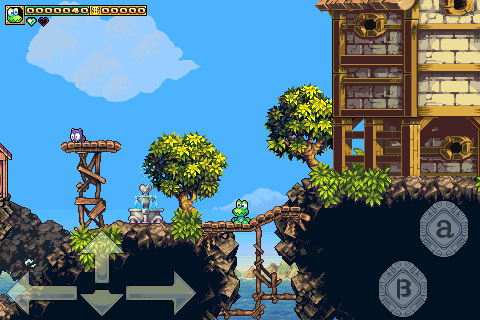 Frogatto is very suitable for growing kids since it doesn’t contain no violence and every now and then the main game actor the Frogatto Frog leads few lines English dialogues with some of the characters found in the quest. And oh yeah one more criticism towards the game is the Enlish structure, it seems people who wrote the plot can work this out in the time to come. Many of the English sentences during dialogues the frog leads with the cranks he met does not sound like a common and sometimes even correct english / phrases. Besides those little game “defect”, the game is pretty awesome and worthy to kill some time and relax from a long stressy day. I’m watching iGenius – How Steve Jobs changed the World movie. I heard about a movie from Alex a friend of mine who said this movie sheds some light on history of Apple Computers Inc, Macintosh and the great significance of Steve Jobs work as a manager and visionary to change the world for good. 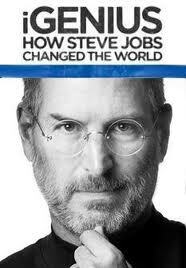 The world has suddenly been astonished by Steve Jobs sudden death so surely the interest about him is tremendously up. I do respect Jobs as under his leading the computer industry has received some innovations, still I don’t agree with many of the movie aspects which turn Apple and the consequent company products IPhone, Ipad, Ipod etc. into a mega hype products. I’m being honest to myself and I should say many of the innovations they did are not something too much, but just a product which popularized or minituarized some older invented technology. The product quality of Apple in the past is a fact so one cannot argue with this however with recent years I wouldn’t say the company quality is so much supreme as presented in the movie. What I don’t understand why is Jobs receiving so much praise and recognition but rarely somebody could show his bad sides as well. We’ve been again manipulatively mislead that he is a mega genius or like an angel on earth. However the achievements of Apple and the mass production and involvement of the field of marketing which lies basicly and makes profits based on great deceptions of Jobs doesn’t make Jobs to a super hero. As an enterpreneur and businessman his achievements are unquestionable but for many years now the reality of business is sad and a honest man could rarely be found to be dealing with business. Usually the people who like dirt, lies and fame are into business. Most of the times these are people who are ready to kill in the name of Public Recognition and Success. Jobs has been said to be a Buddhist according to what I’ve red in Wikipedia. If that is true its rather strange to me on fruits his buddhist faith produced. I don’t believe that any rational man who observes nowdays technology and how it is used doesn’t see the great harm technology did us and is continuously pushing us down. Buddhist teachings in my view teach on helping the neighbor educating and giving up things for free. Apple products however are not giving anything for free, yes some of them do education. Therefore in my view the philosophy of apple and its application is not really fitting up to helping the neigbor as they don’t come free of charge like the free software does. Apple products actually enslaved their users, all of apple products are nowdays connected to Apple’s Inc.
Mega Corporation IStore or they report somehow to apple during updates or purchases more or less about users likings or behaviours. This obviously doesn’t respect users freedom and makes Apple an example of a company that doesn’t respect completely the user natural right of freedom and privacy. To sum it up iGenius – Or How Steve Jobs changed the World is a highly manipulative movie just like most of the movies or books dedicated to super heroes are. Steve Jobs was lucky to get this recognition and status in life, however this doesn’t make him too much different from all of us. He just used to be in the right time in the right place and achieved what he did explicitly by God’s mercy. As a known fact Jobs was an Orphan and as we can see from many life examples God helps and has helped many orphans to have a good lives eventually. Also I’m quite curious if Steve Jobs success was just a fruit of his good fortune or there were just too many circles of people behind him (Jewish or Masonry) possessing big fortunes who found it practical to sponsor his (??) products and ideas seeing a lot of potential to keep the world under siege through technology. Nomatter what the complete true behind Jobs and his achievements are, he is still an inspirational person and an “icon” in the field of IT. Even I’m a bit Jealous on his overall achievements.